MircoTrends offers high quality security systems for big builders and large business locations. With our extensive security expertise and experience, we deliver customized commercial alarm systems that are tailor-fit to the unique needs and special requirements of your business. MicroTrends helps guarantee security access control and alarm monitoring that is flexible, reliable and comprehensive. We offer thorough security systems with complete, 24/7 around the clock digital video surveillance, access control, fire and intrusion detection, plus notification. MicroTrends card access systems are designed for large, Enterprise and Enterprise Plus solutions with high traffic requirements and critical, instant response times. We can help you plan, design and implement larger platforms that offer optimum performance, reliability, and speed. MicroTrends, in partnership with IBM Internet Security Systems, offers products and services that help you reduce the costs and complexity while retaining world class security that is unmatched by anyone in the marketplace. 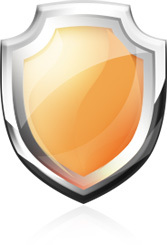 Let us help safeguard your business, revenue and investments.